As school lets out in Israel, we begin to see the kids planning on going to קייטנה kaytana. It is usually translated as "camp", but what is the origin of the word? It derives from the Aramaic word for summer - קיט kayit. 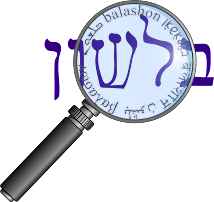 Kayit is closely related to the Hebrew קיץ kayitz. The letter tzade occasionally becomes a tet - see the roots טלל/ צלל, נצר/נטר. Therefore, the popular kaytanat chanuka is a bit of a contradiction in terms (except in the Southern Hemisphere). Now I have not found one theory that connects all the terms. But most etymological sources will connect a few to each other. For example, Amos Chacham in Daat Mikra on Yeshayahu 7:6 says that that kayitz is the season when the figs are cut down (קצץ). Arel Segal here says that קוץ (to loathe) means to get to the end - ketz - of your ability to suffer. Steinberg claims that kayitz gets its name from the uncomfortable, loathful heat. And while I haven't seen it explicitly, a kotz (thorn) certainly is loathful, and waking up (הקיץ) is the end (קץ) of sleep. It is hardly possible that the Hebrew language began with this enormously regular tri-consonantal system, that all Hebrew words were born with three bright and shining letters. Scholars are fairly convinced that back of these three lettered roots lie old primitive two-lettered syllables. These two-lettered syllables represent some simple primitive action or thing. It does seem quite clear that there existed a bi-literal or two-letter base for many, if not most, of our three lettered roots. However, this can never be proven absolutely in all finality because the original Semitic language is lost beyond all recovery. קצץ - cut, from it we have קץ end. קצה - cut, from it we have קצין, captain, judge. The word cut is figuratively used for deciding. קצר - harvest - from it קצר short; i.e. cut off. קטב - destruction, from "to cut off"